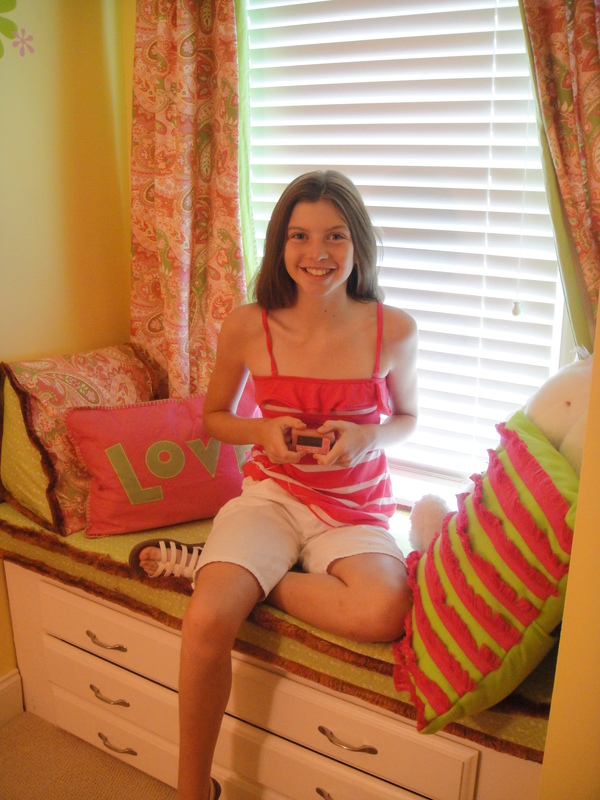 Insulin Pump Therapy | KC & Co. If I could have the ear of the engineering/marketing people at a major diabetes medical equipment manufacturer, I would let them know what a dream gizmo for the management of diabetes would look like to me. First, I am tired of “one offs”–some great ideas but they work independently…not integrating or coordinating with any other products on the market. For example, iBGStar meter…love that you can turn your iPhone into a meter….but why limited to iPhone users only….some of us can’t afford such pricey phones. Why not create a meter that can be used with any smartphone? And the iBGStar doesn’t talk to any pump. Other tube pumps (Animas, T-slim): pump with tubes, remote to bolus/set basals (which is also the meter for Animas Ping), lancing device, strips, lancets, additional meter for T Slim (no linking meter) These pumps currently do not have cgms that are integrated, so cgm with transmitter will also need an additional receiver to carry with you. Omnipod: pod pump, pdm which is meter + remote for pump operation, lancing device, strips, lancets –no current integrated cgm so cgm with transmitter will also need an additional receiver to carry with you. 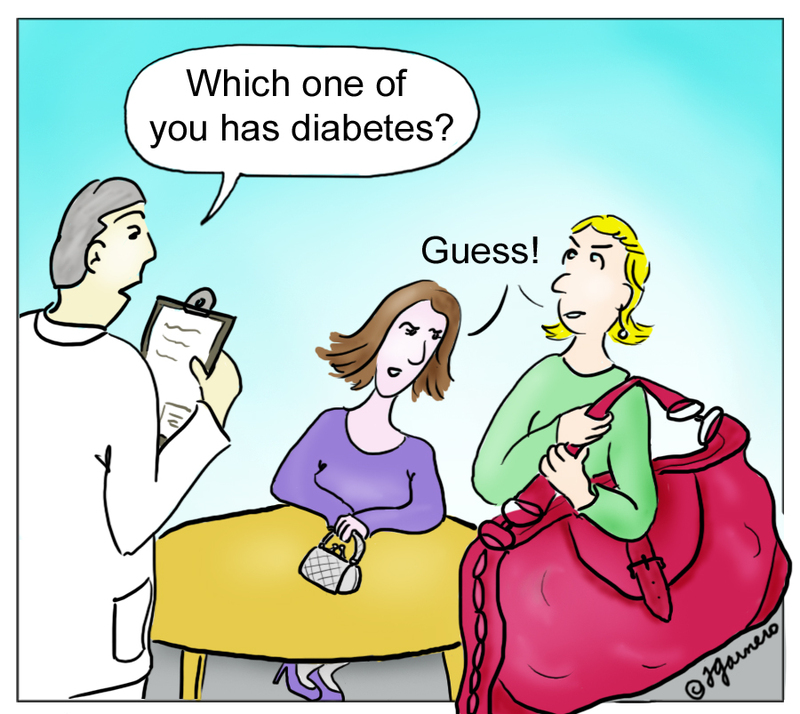 No matter which way you manage Type 1, there is a lot of stuff to carry around! Oh wait, I forgot the glucagon, glucose tabs, juice boxes….ok, you get the point! But what I really want is a CURE! Posted in Continuous Glucose Monitoring, Insulin Pump Therapy, type 1 diabetes, Uncategorized, WEGO Health Activist's Writers Challenge. Bookmark the permalink. Clearing out the Clutter….or How to Maintain Hope in the Midst of all the Hype? Today, I am spring cleaning…mopping floors, fluffing pillows etc. And I am feeling the need to clear my head as well. Yesterday, there was a lot of hype on Facebook about a breakthrough for Type 1 that would/could lead to a cure. I had a feeling that it was regarding a news story I heard a week or so ago about islet transplantation. And it was. Great news that progress is being made in improving the ability to transplant islet cells. I am all in favor of research. transplantation is not a cure. It is like saying that “chemo and radiation are a cure for cancer.” They aren’t. They kill the cancer cells and may or may not prevent you from getting cancer again. A cure would be that cancer, as a disease could be prevented from happening in the first place. Hmmm, the Cure box is empty. Surprise, Surprise (sarcasm intended). But there are researchers working on a cure. Dr. Faustman’s study of reversing Type 1 diabetes is promising. or maybe the answer will be Cardiff University’s Type 1 vaccine. And there is the gene therapy study being done at the University of Barcelona. These are just of few of the research projects that are working toward a CURE…not management, not treatment, but at CURE that will eradicate Type 1 and prevent future generations from getting it. Yes, I love new management products and always want to be one of the first to try them out to help make my daughter’s management of this disease easier UNTIL a cure…not instead of a cure. And I know that we need lots of options for management, treatment and cures; not every option will work for every person with Type 1. Whew! Ok. One more thing before I get back to my physical spring cleaning. Find a Type 1 charity that shares your priorities and do everything you can to help the process. Some of us will have one pet foundation; others will work for as many as physically possible. Just get out there and take an active part if helping find better management tools, more treatment options and as many potential cures as possible. We can help by raising awareness about T1. We can help by talking to our pump/cgm manufacturers and letting them know what will really make daily life better. We can help by participating in clinical trials. And, I know you don’t want to hear it, but we can help by raising money. ( Sorry Nike for stealing this but) “Just Do It” whatever you can do to help. Posted in Continuous Glucose Monitoring, Insulin Pump Therapy, type 1 diabetes and tagged Artificial Pancreas, islet transplantation, Type 1 diabetes cure. Bookmark the permalink. Beach Bound with a Pumper: what’s a mother to do? We have the opportunity to go to the Bahamas this summer. Woo Hoo! Awesome, right? Yes it is….until I start to think about the logistics of taking a kid on an insulin pump there. So my brain is in overdrive, trying to plan for every contingency. DisneyWorld worked out great last year. How can I make this trip just as easy? Medtronic has great suggestions on their website: http://www.medtronicdiabetes.com/customer-support/traveling-with-an-insulin-pump-or-device including a travel card to present to the airlines/TSA regarding insulin pumps and CGM’s. Okay….that just gets us on the plane and hopefully, through customs…. We will be staying at a resort with lots of water activities including a water park, “river,” and swimming with dolphins. Yeah….and we are still using a traditional insulin pump. Not a tubeless patch pump….as KC reminds me daily that she now wants. I want her to be able to do everything she wants to do on this trip. So I need to figure out ways to accommodate those wants. We will only have two and 1/2 days at the resort which is a good thing! She will be needing a site change on the first full day on the island. I’ve told her she can go cgm-less that day and the next to do her dolphin swimming etc. Fear of losing CGM in ocean now set aside. We are used to taking her pump off for swimming, but what to do about walking on the beach? I dread the thought of sea water and sand + insulin pump. I spent some time surfing the DOC and discovered a product called an Aquapac. It is a waterproof case for insulin pumps that has a place for the tube to come out. It is not recommended for long term immersion/submersion. Ours has already arrived and KC is excited about trying it in the shower—great to use when she is running high but needs to bathe! **Please note that the manufacturer states that the insulin flow will be slightly restricted due to the watertight seal. I know I will feel much better about letting her hang out on the beach with this product. I’ve also bought a Pelican 1060 waterproof hard case to store the pump when she is disconnected. I can put the Frio cooling case we took to Orlando in the Pelican to help keep the insulin cool. We are weeks away from this trip….keep us in your prayers as we plan! Posted in Continuous Glucose Monitoring, Insulin Pump Therapy, Travel, type 1 diabetes, Uncategorized and tagged children with diabetes, juvenile diabetes, Teens with Type 1, travel with a Type 1, Type 1 diabetes. Bookmark the permalink. To Pod or Not to Pod? To sleep or not to sleep? We participated in our annual JDRF Walk to Cure Diabetes yesterday. A beautiful sunny day with a perfect breeze….couldn’t have asked for better weather! KC and Firefly had a great time leading our team of over 30 walkers. BG meter is Freestyle –uses different test strips. We already have Bayer meters and test strips, + One Touch meter and test strips…now a third type? The pros are tremendous. And I am leaning toward letting her use the Pod during the summer months if we get insurance approval. Checking whether or not it is possible to use the Medtronic cgm/mySentry without the Medtronic pump just to keep our nights worryfree (relatively speaking that is)–I think it is possible because the mySentry receives the glucose info from the sensor transmitter….really need to find this out. I know there are people who say “Just get a baby monitor so you can hear the Dexcom alarms”–well, first off the mySentry is so much more than just an alarm. It provides the glucose reading from the CGM, + information about how much insulin is left, time remaining before sensor change, battery life, and trends. At any time during the night I can look at it and see the same information that is showing on KC’s pump. And I also find it hard to put a baby monitor in the room of an almost teenager…it seems like an invasion of privacy. As I say again and again, I want her to live as normal of a life as possible and I shouldn’t have to use a baby monitor. In this day and age, is this so much to ask for? It’s not like I’m asking for a cure or anything? Oh year, that’s right, while you are at it let’s get that done ASAP! UPDATE###The Medtronic Guardian cgm will not work with the mySentry–once again a “brilliant” engineer didn’t think “gee, if we have two cgm systems then we should make both work with the mySentry.” To clarify, Medtronic has the Guardian cgm which is like the Dexcom in that it has it’s own handheld device for operation and doesn’t speak to the pump; the Paradigm Revel cgm system is operated by and works with/speaks to the pump. So I guess the decision has been made for us….no podding until a remote monitor/pod (aka patch pump) system is created. Posted in Continuous Glucose Monitoring, Insulin Pump Therapy, type 1 diabetes and tagged Dexcom, JDRF, Medronic mySentry, Medtronic Paradigm, Omnipod. Bookmark the permalink.